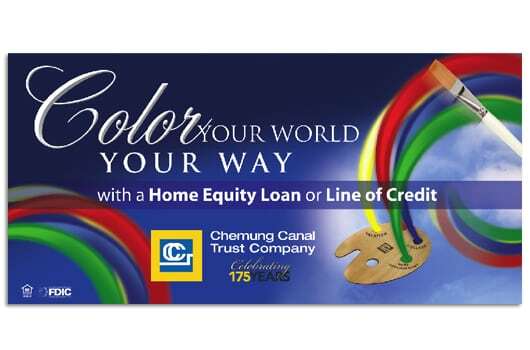 Chemung Canal Trust is an upstate New York financial institution. 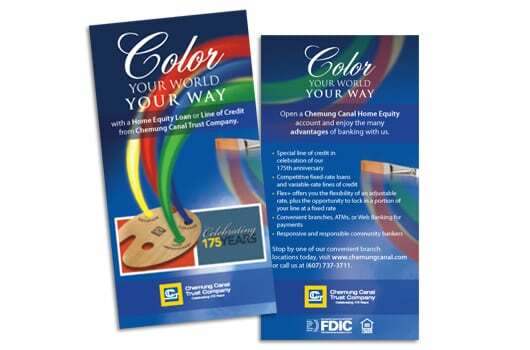 When they wanted to increase their home equity loan accounts they came to us for a comprehensive campaign featuring multi-channel media. 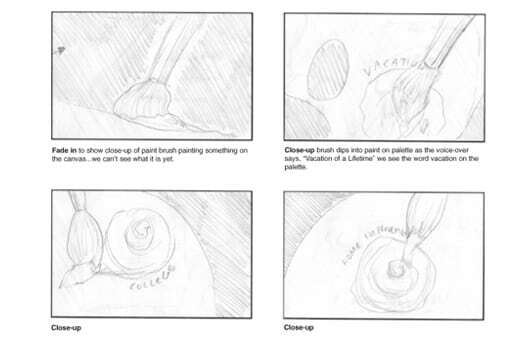 Our creative team developed several original creative approaches. 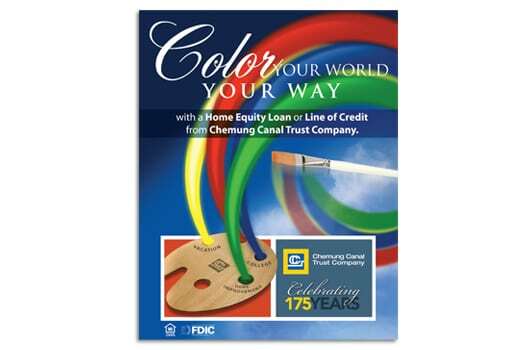 CCT selected the concept of an artist’s palette as the platform for showing the consumer benefits of their loan. Radio and TV commercials were used in conjunction with outdoor billboards, newspaper advertising, in branch merchandising, and web graphics. The campaign resulted in significant growth in lending production during the campaign.